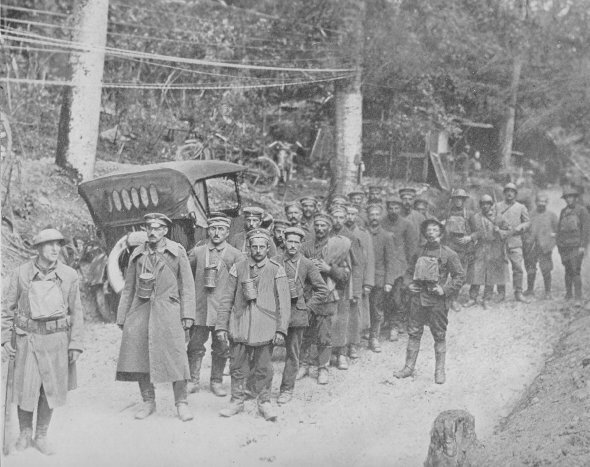 Here are captured German soldiers being marched to the rear. These enemy prisoners were captured by the 103rd Infantry, 26th Division, in the attack on the St. Mihiel salient, September 12, 1918. The American soldiers showed neither hatred nor contempt for their prisoners.